Following the launch of Endorphina’s Satoshi’s Secret slot, the Bitcoin game provider continues to receive massive amounts of praises from the Bitcoin gambling industry. 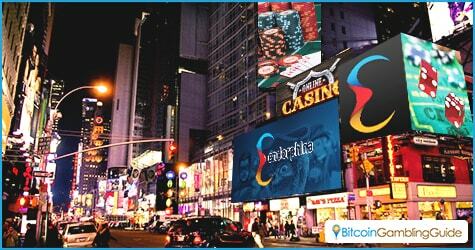 After attaining such unsurmountable achievement with the Bitcoin slot games, Endorphina progresses to develop its steadfast line of online casino solutions in order to further revolutionize the landscape of the Bitcoin gambling industry. 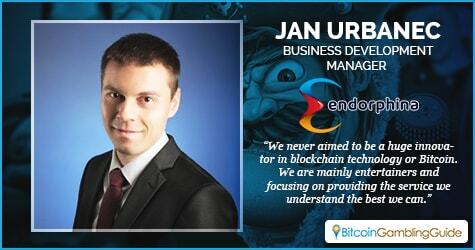 Q: How would you characterize Endorpina‘s role in the Bitcoin space? JU: We use Bitcoin as a facilitator of transactions. Players can play with it, have their balance in it and the casino operators that have our games can settle with us using Bitcoin. Q: What was Endorphina‘s biggest impact in the industry? JU: Without a doubt the release of our Bitcoin themed slot Satoshi´s Secret. Our hope was to attract the tech savvy player. So the game reflects the bitcoin theme in all details from the slot’s icons to the Bonus games it incorporates. The QWERTY bonus game will make you hack some bank accounts. It works this way: there are 3 levels of account protection – a green account with a low protection and the least money, a yellow bank account and a red account with the strongest password and the highest possible win. The player has to watch out because at any moment the police can catch you, and the more time you spend hacking, the higher chance of getting caught. But once you get in the account and convert the money into Bitcoins – your money is safe. And in the Trading bonus game the players need to predict whether exchange rates of US Dollars, Euros and British Pounds are going up or down; the more accurate your guess is and the more symbols of the chosen currency appear on the reels, the higher multiplication of the win you get. As you can see, the game is very true to life and thought through out in minimal details indeed. This move payed off. For example during the first day of release it was a top 4 game on Bitcasino.io and this is a site with 700+ games. That says something about the popularity of the game. Entering the iGaming market in 2010, Endorphina has been a great contributor to the steady mobility and consistent success of the online gambling niche. However, despite its reverend status in the business, the online casino provider still maintains its humble demeanor. Q: Is Endorphina looking to disrupt in any other way? JU: We never aimed to be a huge innovators in blockchain technology or Bitcoin. We are mainly entertainers and focusing on providing the service we understand the best we can. Q: What is next for Endorphina? 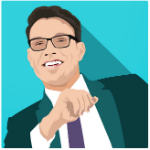 JU: We are starting to focus now more on mainstream, that does not mean we are leaving the Bitcoin gaming audience behind. It means that the Bitcoin casinos are going mainstream and the players are starting to require services and quality that the traditional online casinos offer. Also a big step for us will be pushing our games on mobile platforms – phones, tablets, iOS and Android. In the upcoming months you will be able to enjoy our games on the move, without compromising the graphical feel that Endorphina provides. And of course more new and better games releases! Notwithstanding its considerably successful tenure in the market through the Endorphina-powered slots that successfully earn a spot in the top Bitcoin slots of 2015, the European company still strives to promulgate the fun and excitement online gambling brings to its users. Considering its current and upcoming projects, this casino software provider is an indispensable asset for the imminent widespread adoption of Bitcoin in the mainstream market, let alone the increased popularity of Bitcoin slots in the iGaming industry.